I had an experience yesterday which made me want to write another blog. These last few weeks, I’ve been doing some supply work as a way of earning a bit of extra cash before I start my new job in September. I’ve worked as cover in both secondary and primary London schools, and while the experience has been valuable and informative, I’m glad it’s coming to an end. There seems to be signicantly more demand for supply cover in certain kinds of schools, the ones with high rates of absenteeism because the working conditions are less than good. The ones with poor behaviour. My first supply job was actually rather pleasant, lulling me into a false sense of optimism. “This is easy money”, I thought at the end of that first day. Not so now. Some jobs were one off days, others were several days in a row, and others were regular repeats. So when I got the call yesterday morning to say, there’s a job at __ primary for a one-to-one with a SEN student, I knew exactly which one it was. Off I went, signed in with the receptionist who knew me well by now and went to see the SENCO. “You’ll be one-to-one with S”, she said to me apologetically. “He didn’t come in yesterday, so if he doesn’t come today, I’ll put you somewhere nice”. I got the sense that everyone was rather hoping this boy didn’t turn up. Of course, he did come. As far as I can tell, this student never actually sits in class with the rest of his cohort. He is taken out to do one-to-one work, for which he is rewarded with “choosing time”, a euphemism for time playing on the laptop. Last time I worked with him, that’s what he did for pretty much the whole day, apart from running off a few times, and making me chase him around the school and the playground. The class teacher handed me some books and worksheets for him to complete, without any great hope that he would do them. After a half hour of him acting up (basically lying down under a table and moaning that he wanted his usual TA, not the supply), he got what he wanted: the laptop (after which the moaning stopped). Immediately, the latest video game ‘Fortnite’ came on, while I shrugged internally and picked up a book to read. I tried every so often to remind him of the work he was supposed to do, and eventually he promised to do it after morning break. As it happens, there was a PE lesson after break, which he was allowed to take part in since he had been so quiet all morning (laptop time can work wonders that way). So anyway, I come back after lunch and remind him of his promise to do some work. Quick as a flash, he’s off to hide under a table and have another of his tantrums. One of the school staff comes over to him and coaxes him out. “I don’t want her”, he says, pointing to me. “She’s evil, I hate her.” Some time is spent talking to him and calming him down. No attempt is made to get him to apologise to me. Then I’m left with him again. I pick up my book and sit down to read. As far as I’m concerned, he can spend the rest of the day on that dratted computer. But no, he gets up and decides to go for a walkabout, so of course I follow. “Don’t follow me”, he snaps. “I have to, it’s my job to supervise you”, I reply. “Then I’m going to see Ms M” (the head teacher). He runs down the stairs and I follow at a more sedate pace. I reach the head teacher’s door and look up through the glass to see him inside her office. Satisfied that he’s where he should be, I find myself a seat outside her office and wait to see the outcome of this chat with the head. Ten minutes later, I see the boy beckoning me through the window. I go into the head teacher’s office. She smiles at me and says “S will spend the rest of the day in my office but he needs his laptop. Would you mind going to fetch it for him?” I put a gracious smile on my face and say “of course”, and trudge up two flights of stairs to go fetch the laptop. When I bring it back, no words of thanks from the boy. The head teacher is the one who does the thanking, then asks me to re-join the class. Back up two flights of stairs I go, but half the class has gone off for a transition day at their new secondary and I’m not needed. With an hour to kill until home time, I walk a few doors down and poke my head into a year 4 class. The frazzled teacher there welcomes an extra helping hand so I settle in for the rest of the day. It immediately becomes clear why the poor teacher is frazzled. Behaviour. I spot a boy in the corner dancing a little jig to entertain his classmates, and loudly talking over the teacher. He also seems to be the only child in the class to have a laptop open in front of him, playing some video game. Quelle surprise. The worst behaved child is given a laptop (I find out later it was a reward for having behaved in the morning). And so, after an hour in that rowdy, disorganised classroom, I finally went home, breathing a sigh of relief. I’m not planning to go back to that school again, no matter how many coaxing phone calls I get from the agency. In fact, I think this is the end of the road for me as a supply cover. Life’s too short and the sunshine is beckoning me, telling me to start my holiday a little bit sooner. Before I head out into the garden for a bit of R and R, I’ll leave you with one last thought. That school was rated ‘Outstanding’ by Ofsted. I have just returned from a lovely overnight stay in a country house spa hotel to celebrate our tenth wedding anniversary. It was everything I could have wished for, particularly the relaxation of not having a child around. I padded around in my complementary bathrobe and slippers, helped myself to drinks and magazines, reading them in a suspended swinging chair. I swam in a large and peaceful pool, luxuriated in the jacuzzi and managed a few minutes in the steam room. Everywhere I went, people spoke in hushed quiet tones. Mobile phones were not allowed. As I lay back on my deck chair, I breathed in the sweet smelling air and relaxed totally for the first time in months. This has been a tough, bruising year for me. Actually, a tough couple of years. And I’m a bit tired now. There have been highs and lows, wonderful children that have found a place in my heart, challenges and achievements. Teaching is rather a mixed bag, bringing deeply fulfilling moments for every dark, horrendous day. But I’m tired. Just last week, I had to deal with stroppy, rude, disrespectful teenagers who refused to put their mobile phones away when I asked them to. On Friday, I had to supervise two boys who for various reasons had been excluded from their classes, only to spend that time on laptops playing rather dubious video games that seemed to involve lots of killing. When I castigated them for the language they used, one of them responded “That’s how we talk where we come from miss. You know, we get lots of stabbings here.” My enduring memory of last month was trying to restrain a child who in a fit of anger was throwing heavy items around and then banging his head on the table. And for everyone of these extreme situations, I have encountered plenty of the low level, but equally soul sapping stuff. “Shut up”, “racist”, “pig”, not to mention regular instances of the F word seem to have become everyday language in some quarters. Not to mention total contempt and disrespect for the adults (until they ‘earn the respect’). The quiet peaceful world of my hotel spa and its clientele seems a million miles away. They could be parallel universes. I know it’s easy to stereotype, and that not all children are in gangs or have special needs, but inner London can be quite grim. There just seems to be so much deprivation, so much disfunction. Children have been exposed to so much brutalising behaviour that the possibility of turning them into polite, functional members of society seems ever so slim. Yet it can be done. Anyone visiting Michaela school can be in no doubt that, in the right circumstances, those angry, anti-social children can be turned into beacons of civility. I’m told it’s not just Michaela, but that other schools are also achieving fantastic behaviour and culture. 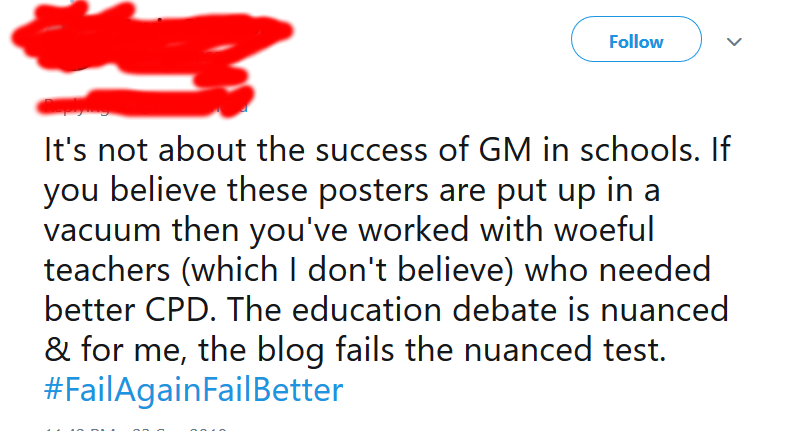 I’m sure that must be true, but my experience, which now runs to over a dozen schools (thanks to a stint doing supply work), tells me otherwise. So I’m glad Amanda Spielman has focused on behaviour in her recent speech at the Education Festival. Ofsted is to add a separate judgement for behaviour in future inspections, and will take measures to ensure they get an accurate picture – not the sanitised version that is often presented by savvy school leaders. If you ship out disruptive children for a school trip on inspection days, Ofsted are going to be on to you (I hope). Every school can manage to show off a well behaved class during an inspection. But what about NQTs, new and supply teachers? Are they getting the behaviour? What is it like at transitions? What will students say about the behaviour, when asked in anonymous questionnaires? There are numerous ways of sussing out the behaviour in a school and Ofsted seems to be determined to get to the truth. This is long overdue. In the meantime, I’m hanging in there, but compromises have been made. I’ve accepted a job next September, with shorter hours, less responsibility and less pay, but the plus side for me is that the behaviour I observed on interview day is good (it has to be said the catchment is affluent middle class), and my son will no longer need to languish in before and after school care. I’ll also have more time and energy to devote to my side project, Learning For Memory. September 2019 will be my crunch time. I’ll have to enrol on a teacher training course then or have to go through the palaver of sitting my professional skills test again (which I don’t fancy doing). Will I bite the bullet and do it? Maybe a year working in a good (not in Ofsted terms) school will help convince me to go for it. 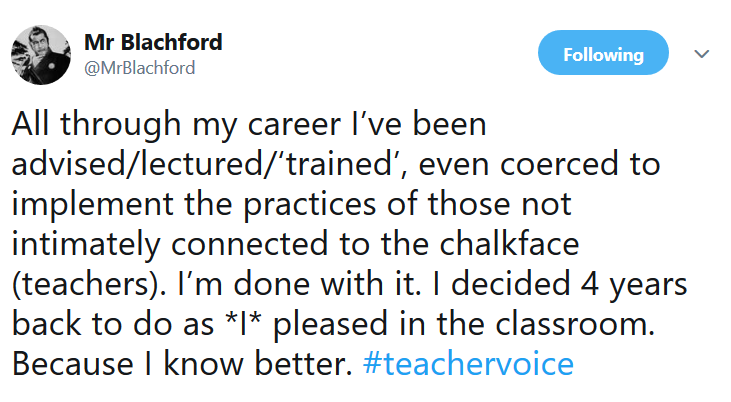 At the moment, much as I love working with children, much as I love the act of teaching, the profession of teaching is not one I want to join. It’s been a while, but I’ve decided to resurrect this old blog. 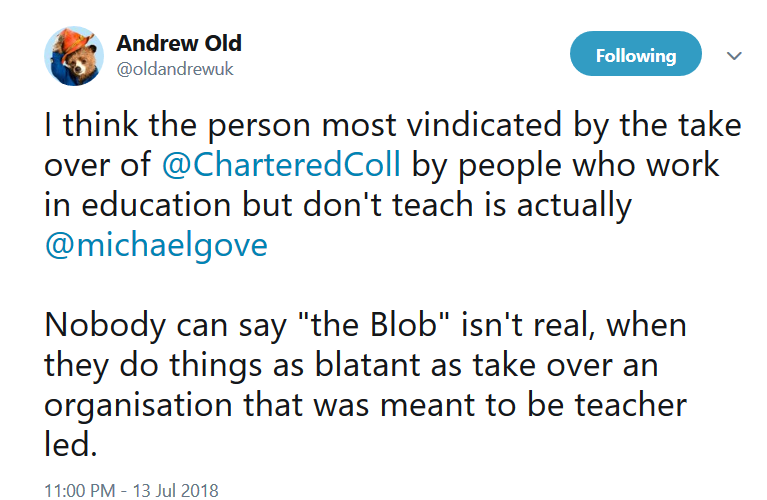 This website has been mothballed for over a year, following some rather threatening behaviour documented in this post by Andrew Old. The time has come though, to shake the cobwebs and bring this site back to life. I have been blogging in the meantime on historylover.uk, but increasingly I’ve felt much of what I want to write about would not fall under the umbrella of ‘History Lover’, so I’ve come back here, to my old blogging home. There has been much water under the bridge since my last blog post on here. My circumstances and outlook have changed considerably; for one thing I am no longer training to be a teacher. For another, I have switched from secondary to primary. At the moment, I am content to work in a TA or cover supervisor role, and to put teacher training on the back burner. Quality of life and family time are trumping the desire to move up into a position of more responsibility. This may not always be the case though, so I’m keeping my powder dry. I plan to use this blog to share my reflections on education in general, and to switch to ‘History Lover’ only when my subject matter is history specific. This means that I will be blogging on two separate sites, but it will hopefully make better sense this way. 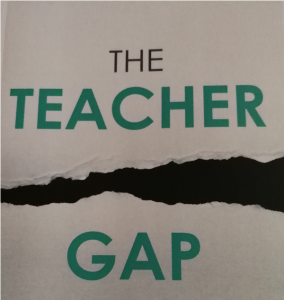 My next blog, entitled ‘When will they catch up?’, will discuss differentiation and how it often has the unintended consequence of widening the attainment gap.